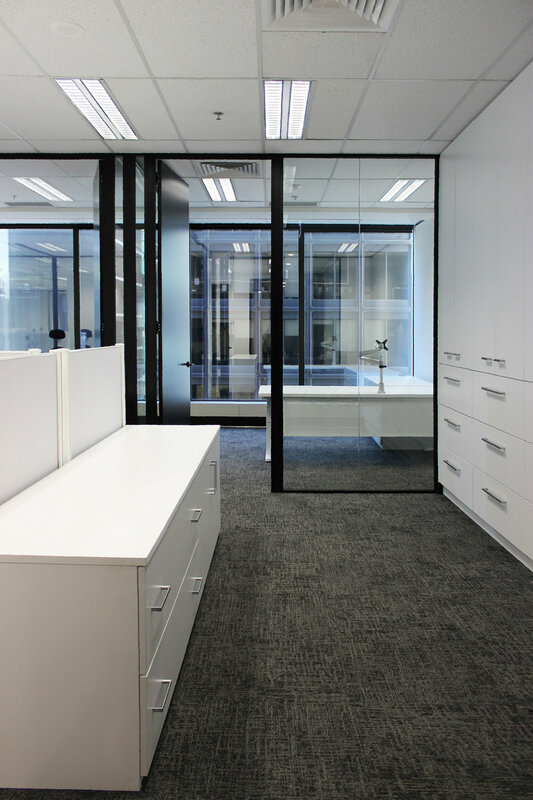 The team at Rebel Property Group in Sydney CBD recently had their offices revamped into a modern and bright space. 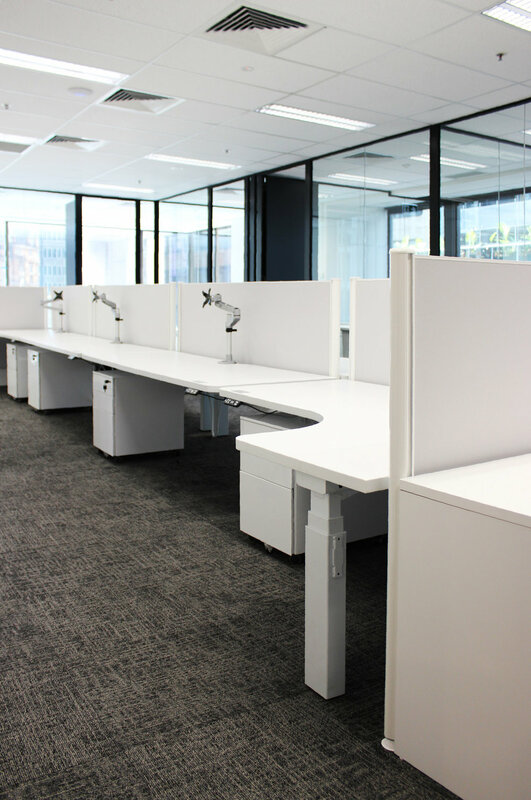 The entire office has been furnished with our Lifts S height adjustable workstations for a flexible and active work style. 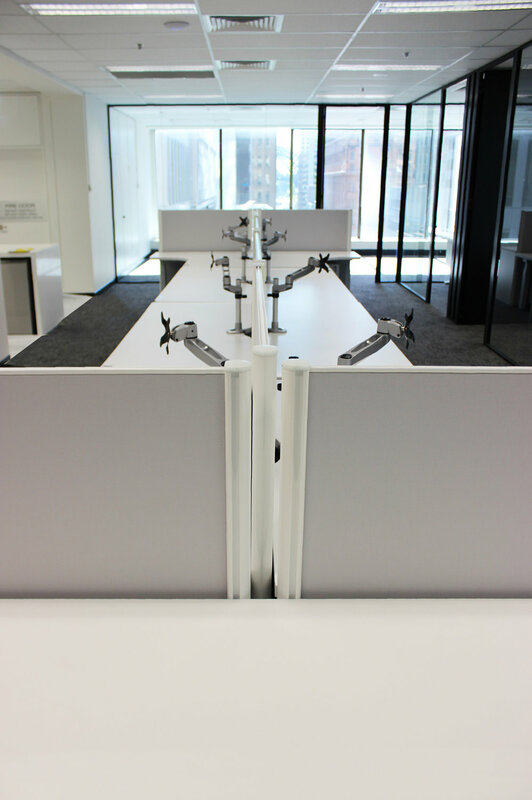 All the workstations within the open plan space feature our Vast screens to give the team privacy. 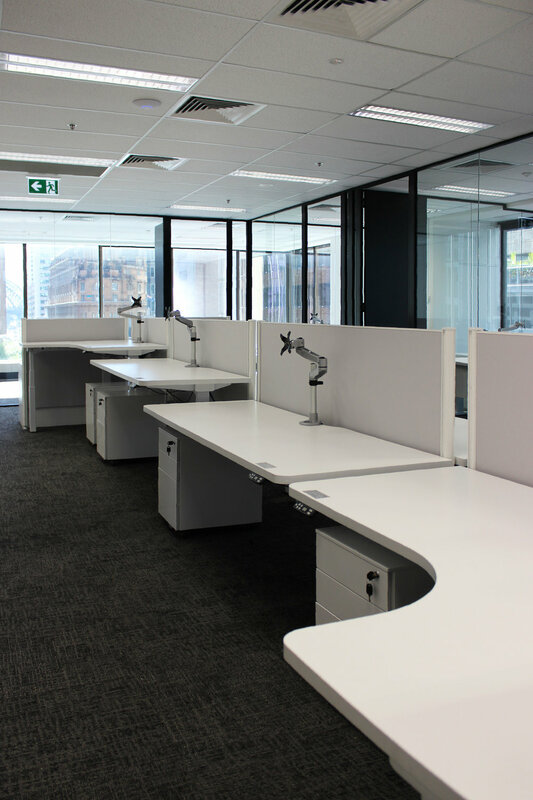 A combination of Globe mobile pedestals and customised Universal cupboards were used to provide ample personal and general storage throughout the space and Logic monitor arms were mounted to each desktop freeing valuable worktop space for each user. 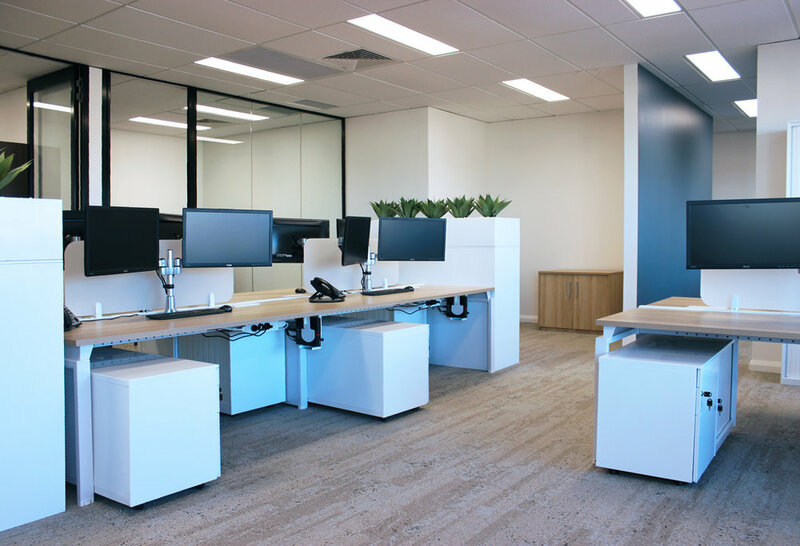 Stepping into the boardroom, power boxes were cleverly concealed into our I.Am table and paired with our popular Sax chairs to create the perfect meeting room. 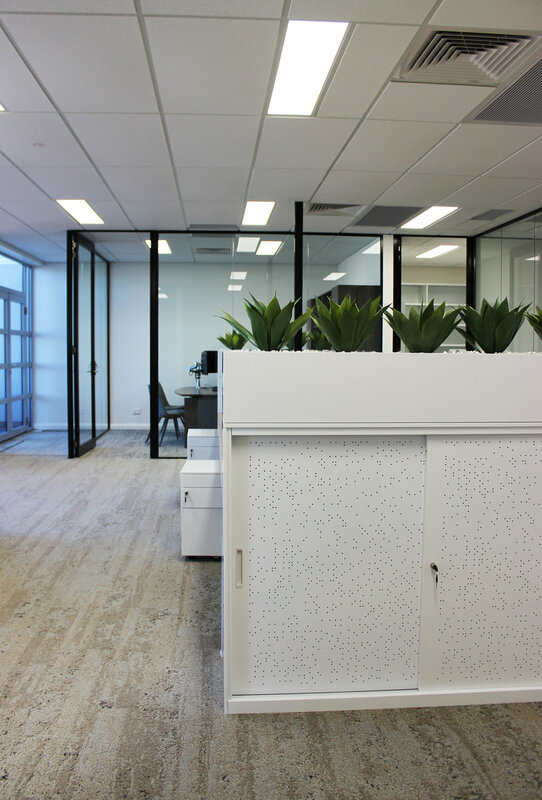 With a simple colour palette, plenty of natural light and city views, Rebel Property Group's new offices have been brilliantly configured for a timeless work environment. 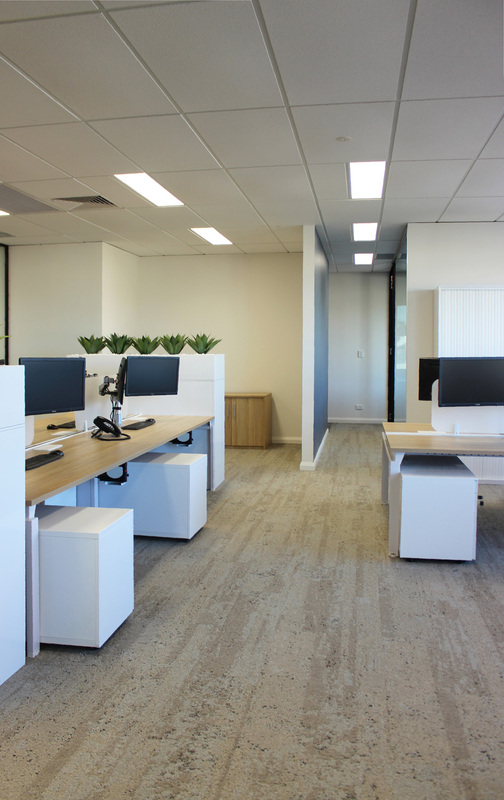 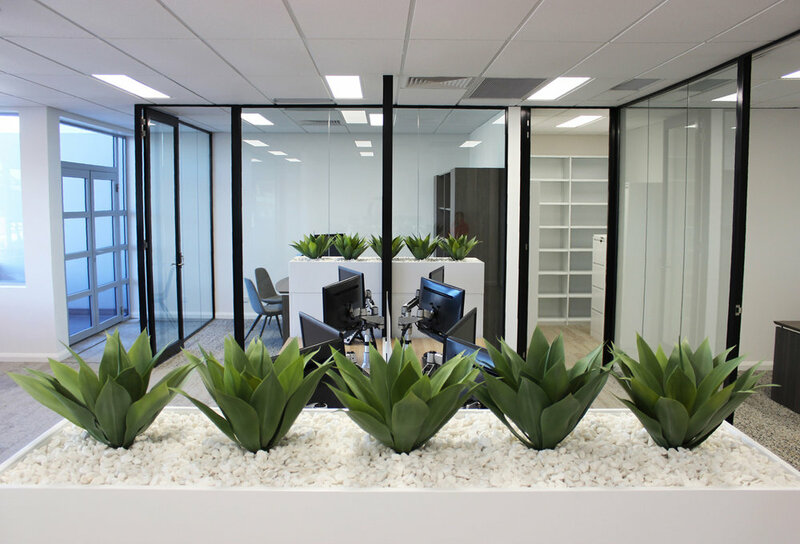 A minimalist style and a fresh vision were the starting point for Delante Accountants & Business Advisers' new office fit-out in Taren point. 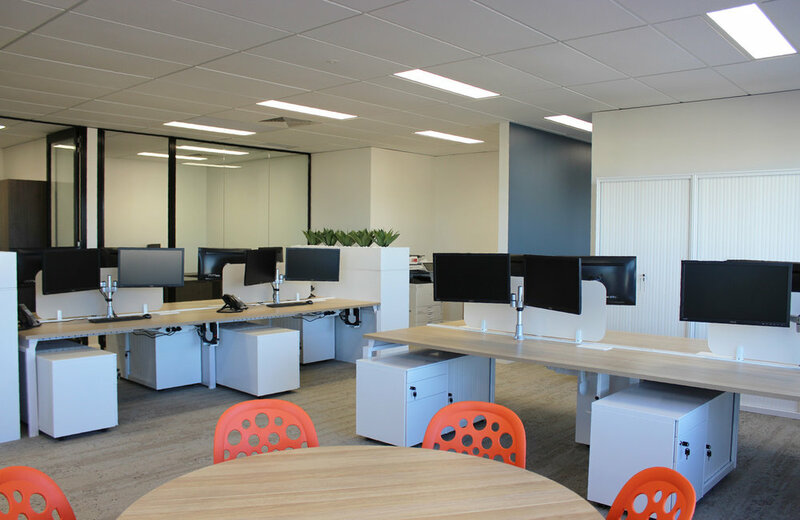 The business owners and our team worked closely together to give the new company and the growing team a modern, creative and inviting space to work in. 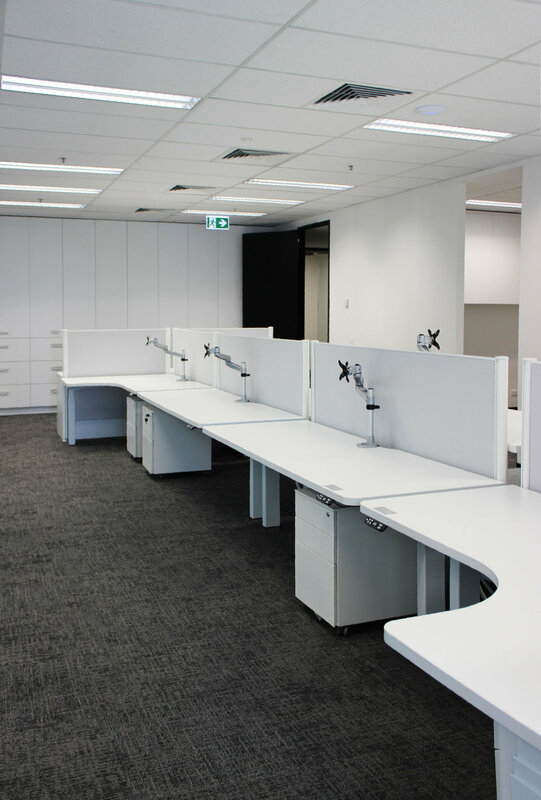 As a forward thinking company, Delante wanted to promote collaboration and team work. 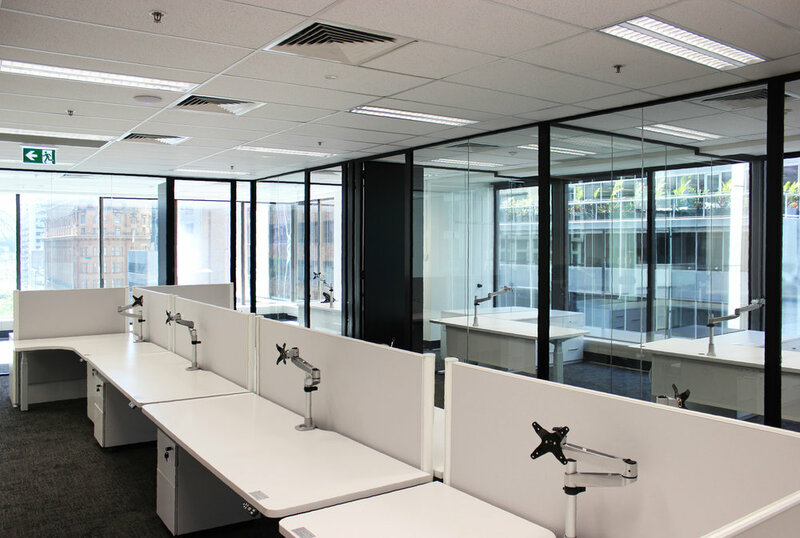 They achieved this through clusters of Benchwork workstations in the open office, featuring our Trak perspex panels and Logic monitor arms. 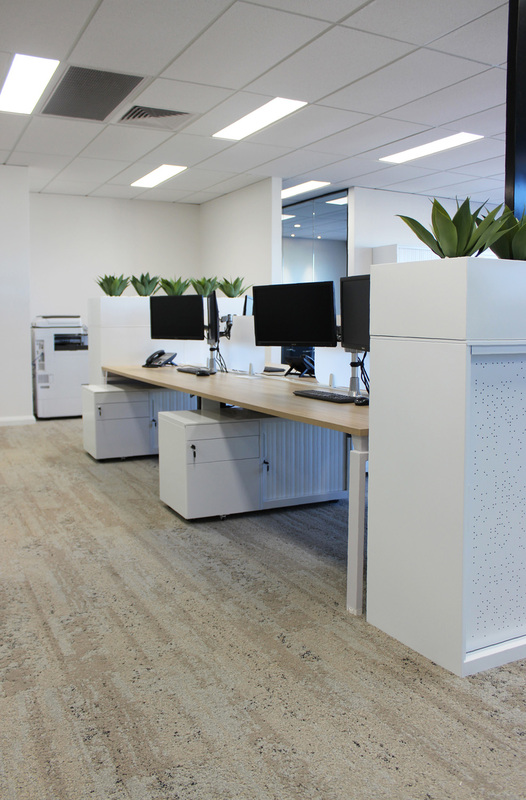 The white and light woodgrain tones in the open space nicely contrast with the Cafe Oak finishes in the surrounding executive offices furnished with Aero desks and returns and Universal storage. 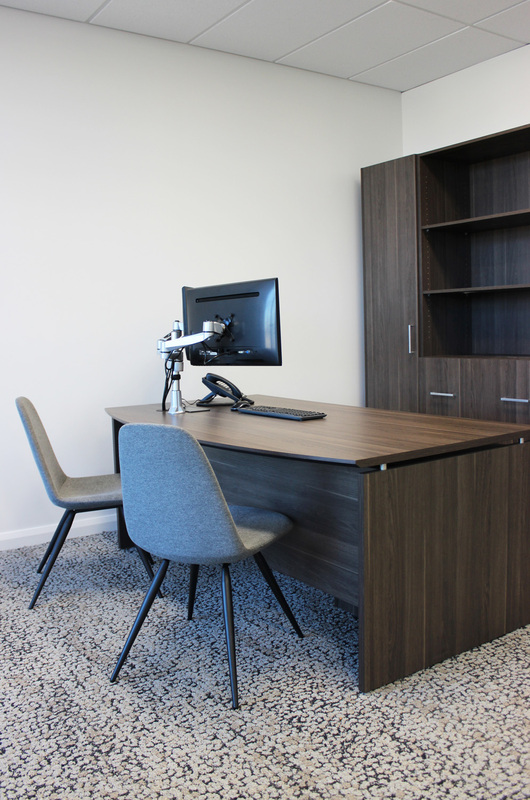 Grey Tang visitor chairs compliment the offices' earthy colours. 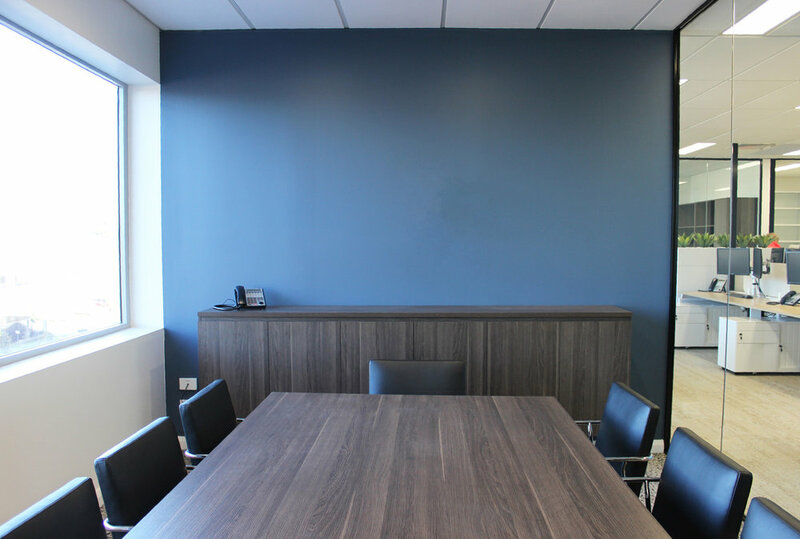 The elegant Cafe Oak finish was carried into the boardroom which hosts a Universal wall mounted credenza and Oslo boardroom table creating the perfect space to receive clients. 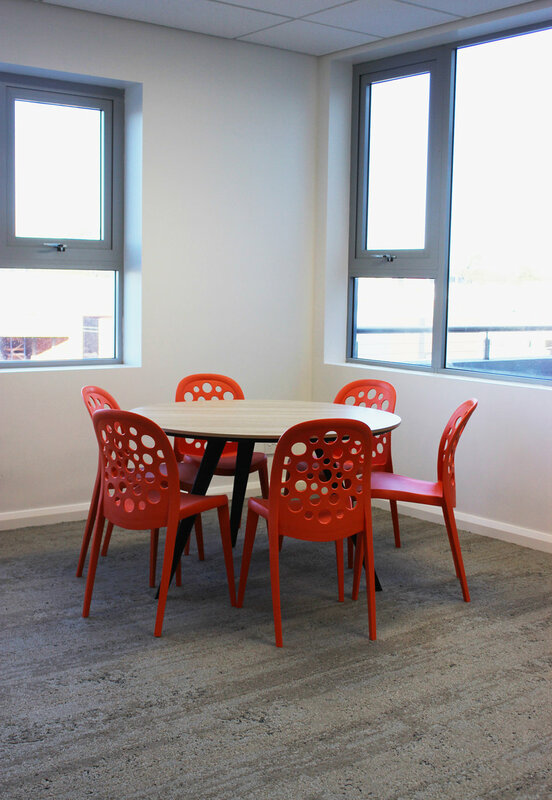 Life and pop of colours were added throughout the space thanks to our Globe planters and vibrant Pop chairs paired with our Dart table to create an informal meeting space and breakout area for the team. 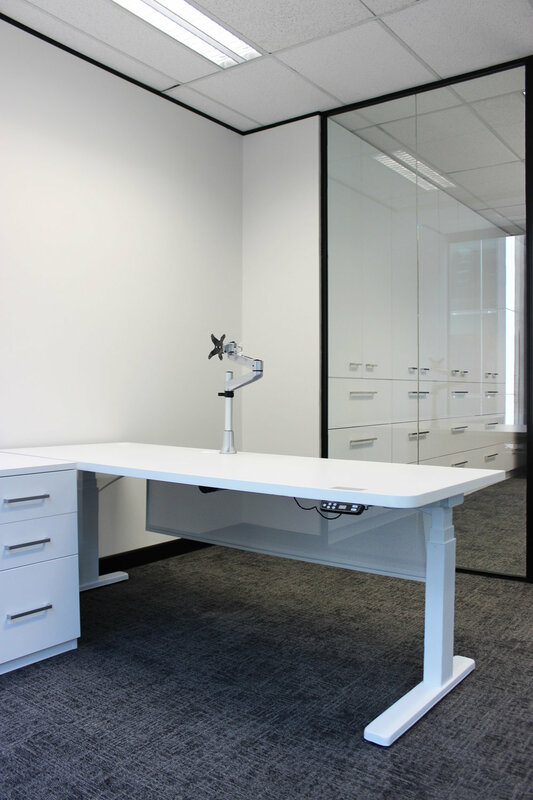 Ample storage was provided with our steel storage range, from individual mobile caddies, to Globe tambour and sliding door cupboards in the open space as well as a storage room fully furnished with filing cabinets and open shelving. 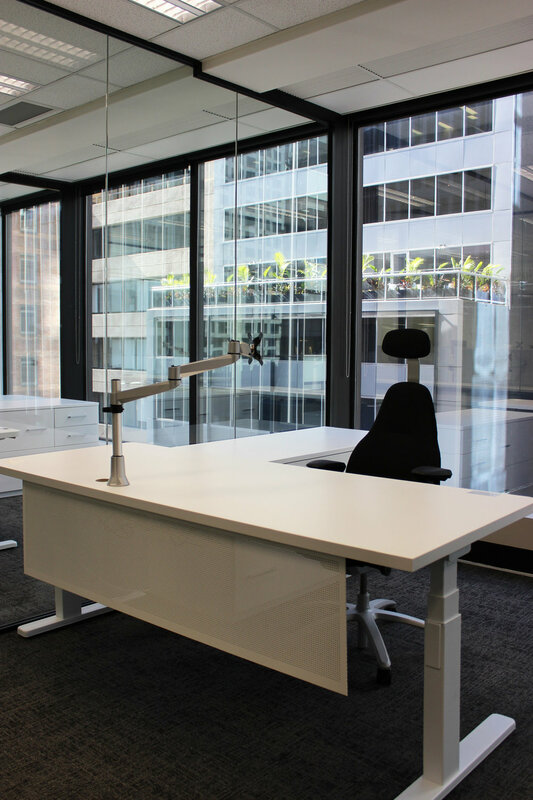 Combining style and functionality, this space has been designed with all the elements for success.